We were drawn to the notion, perhaps convinced by our own highly competitive working environment of today's modern work life, that our children should be prepared well early in education according to a certain template to excel in the chain of exams that would follow through subsequently in their life until they graduate. We can be glad today that plan A did not happen as crafted. We sent her to Tadika Aman Ceria at age 3 with the intention to let her interact with other kids of her age (as the first grandchild of the family she didn't get much chance to have that at home) before we would enroll her into a more mainstream preschool the following year. Tadika Aman Ceria menjadi pilihan kerana menyediakan prasarana yang sesuai untuk Perkembangan kanak-kanak. Selain daripada penekanan kurikulumnya yang menyeluruh, merangkumi pengajian agama/moral, matematik, sains, Bahasa Malaysia, Inggeris dan Mandarin,ia juga memberi eluang anak –kanak menceburi bidang sukan, muzik dan seni serta kraf. Potensi diri dan bakat kanak-kanak dikenalpasti dan diperkembangkan. Selepas setengah tahun mengikuti kelas tadika dan 'day care' sepenuh masa di TAC, kini anak saya lebih berdikari dan lebih yakin berkomunikasi dengan rakan sebayanya. Keunikan TAC yang mempunyai pelajar dari pelbagai agama dan bangsa memberikan anak saya pengalaman keharmonian dan semangat 1Malaysia. Jutaan tahniah untuk para pendidik TAC yang penyayang dan berdedikasi!" 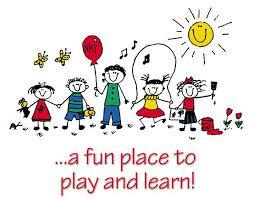 "Aman Ceria is recommended for parents looking for a well established play school & kindergarten in Taman Melawati. A preschool & kindergarten complete with dedicated & experienced principal & teachers. A school of excellence that groom children to be leaders of tomorrow. It is a place where children will find learning and studying fun and exciting." My daughter now enjoys going to school. We are happy as she has learned so much at Aman Ceria. She surprises us each week with new things she learned, like ballet & the handiworks she brings home." We wish to express our utmost appreciation to Mrs. Law and all the teachers for their dedication in nurturing and caring for our daughter Hadeeja. Back in 2010, we were searching for a kindergarten that basically covers the cognitive, psychomotor and affective domains but at the same time not regimented in terms of burdening our daughter with too much homework. Our idea of a kindergarten is that it should be a play school where children are allowed to play and grow up as children while concurrently nurturing the process of their mental and physical development. When Hadeeja first enrolled into TAC in 2011 she was a very timid little girl but within a few months she has become very talkative and sociable. She would always tell us wonderful stories about her friends and teachers and looks forward to go to TAC every day. She is able to work on her mathematics, language and other homework under minimum supervision from us. She has now grown to be a creative, analytical, observant, amicable, intelligent, responsible and most of all a happy little girl. Thank you TAC for making these two years education the best and memorable experience for Hadeeja and all of us. I, for one would strongly recommend any of my relatives, friends or anyone else to enroll their children into TAC. Keep up the good work! One of the most important decisions we make as parents is the school we select for our children's preschool education. As a child's thirst for knowledge is extremely active at that age and sets the stage for future educational achievement. And if you want your child/children to be in a friendly, warm and loving environment both physically and academically then Tadika Aman Ceria is exactly what you are seeking for. 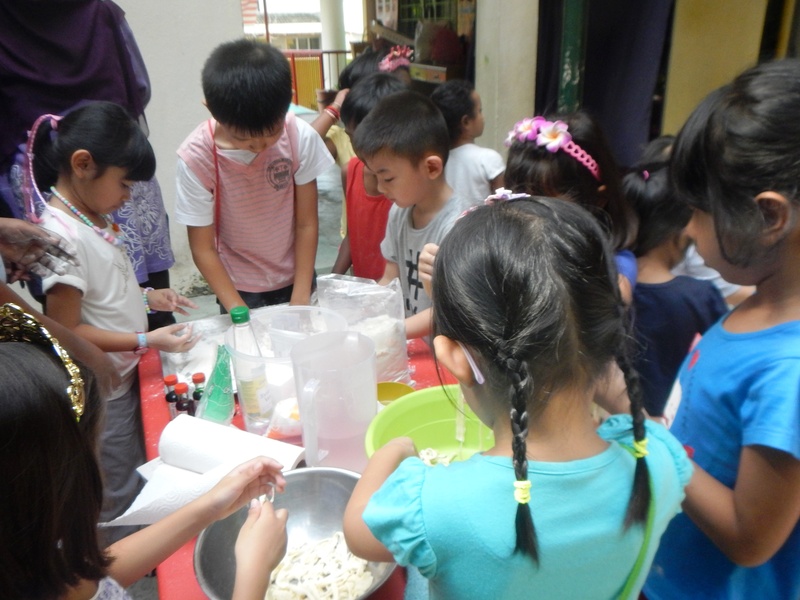 The teachers are experienced and dedicated to fostering a learning environment that is fun and meaningful through creative activities such as hands-on cooking, art projects, dramatic performances, holiday camps and many more. Both our sons had great experience there and to this day they are very comfortable with the teachers and also Mrs. Law for the love and compassion they receive. And now we are so impressed with the progress shown by our little girl since attending TAC. She has really flourished and loves her school so much. She is always eagerly looking forward to attend school every morning. We are ever so grateful for Tadika Aman Ceria, as this is where all my children excelled in their early education. Tadika Aman Ceria has been an incredible experience for our child, Sabrina. The standard of academic excellence and the emphasis on moral and character development has far exceeded our expectations. The teachers are dedicated to teaching and care for the children. Sabrina. loves going to school, and she is dedicated to learning. We are happy, knowing that she is safe, respected and cared for. The kindergarten emphasis on moral values and attitudes. My child, Daniel understands what is right and what is wrong. I believe it is important in nowadays society, for many kindergartens have been too result oriented and neglected what is the most essential thing in human development. I find the teachers at Aman Ceria, very dedicated, they are good role models, always guide the children with love and patience. Daniel loves to go to school because he is always encourage to learn and try new things. I can see his improvement in attention span, in self-control, in interest towards study, in learning new vocabulary, in creativity and most importantly in understanding of values and attitudes. Thank you teachers for your patience and love. I am so blessed to be given three little angles: Audrey (6 years) Lydia (4 years) and Justin (2 years old).With God's grace they are growing healthy and happy. Just to share some dialogue among us some time back. Audrey: I want to be a teacher. Audrey: Teachers, like the ones I have at Tadika Aman Ceria, know everything. Children love them, adore them and listen to them. I want to be someone like that when I grow up. After two days not attending school. Lydia: I want to go mom, I miss my friends out there. Zara, Jovi, and many more. Lydia: I enjoy my Tadika very much. Lots of fun. Me: Justin, do you want to join your sister, going to Aman Ceria? Me: No, I don't mean now. Our daughter, Soraya, participated in Aman Ceria's concert for the first time when she was 4 years old. We attended the concert in 2009. We were awed by the whole event. We kept wondering how do TAC manage to handle so many little children with discipline yet lots of fun. In 2010, we attended another concert by TAC. we were awed again by the whole event. It was fun, interesting, colorful, meaningful and full of surprises and laughter for all of us. Thumbs up to all the children of Tadika Aman Ceria and especially the teachers and supporters of the event. We look forward for next year's event. Why I Choose Tadika Aman Ceria? I can see the outcome in my youngest sister (ex-student) is now 30 years old. My nieces, nephew and my 3rd child all former students of TAC are in their primaries. Amanda my youngest is now a final year student at Tadika Aman Ceria. Their level of confidence, enthusiasm and happiness is extraordinary. The children are able to learn how to read, write and count. I have sent Amanda to 2 other different Kindergartens. It ended up either me or my husband had to accompany her to school every morning until the end of the year. She will be crying and refuse to go on her own with the driver. This year, I sent her on the first day of school to Tadika Aman Ceria and she is on her own since. Lastly, I have no regret sending Amanda all the way from Gombak to Tadika Aman Ceria. Our eldest and second sons attended the kindergarten in 1996 and have since followed by their sister and brothers, all 7 of them. The exposure and the education contents that TAC provides is absolutely brilliant. The school, teachers and friends become part of our children's life, regardless of age, race or religion. To be able to live in harmony at this very young age is something the adults anywhere in the world is still struggling to do so. We are very fortunate to have our children taught by such dedicated and loving teachers. Our minds are at peace knowing that our children are in very good hands. We would like to take this opportunity to thank Tadika Aman Ceria, all the teachers, the parents and children for contributing to the positive and healthy growth and development of my children's life. Thank you and God bless you. Tadika Aman Ceria is known for its warm, caring- family atmosphere and for quality and professionalism of its teachers. The balanced approach to its instructions in their curriculum is much appreciated. Strong emphasis on phonics and word analysis skills in reading classes is excellent. The important concepts of math which are taught at all levels of a child's development varies and are presented in a way that challenges the children without frustrating them. The school extra-curriculum, which includes Art, Media, Physical Education, Water-play and Music, offers excellent opportunity for a child to develop and enrich his/her potentials to the fullest. A stable and tolerant atmosphere encourages the development of diligence, self-discipline, cooperation and mutual respect. All my three children who have great enthusiasm for learning just love this school. Danial benefited very much from spending 3 years at Aman Ceria. Before attending Aman Ceria, Danial was not sociable and avoid being among many people. He also disliked computers. After some time with Aman Ceria, he's not only imore sociable but takes pride in leading other children. He is more confident and self-assured. The holiday camps at Aman Ceria has helped him a lot. Thank you Mrs Law and teachers who have helped my son. I am certainly going to enroll my youngest daughter at Aman Ceria. First and foremost, we would like to extend our deepest gratitude to Mrs. Law, the principal and all the kindergarten teachers for their efforts in giving the best pre-school experience to our 2 daughters, Najla Farisha and Naimi Adeline. Through our observation, they have improved a lot on self confidence, social skills and tertiary knowledge due to the wonderful learning environment and activities at Aman Ceria. Finally, we would like to take this opportunity to congratulate Tadika Aman Ceria for being a great center for the kids in discovering the joy of learning. Pengalaman Yang Berharga: Sembilan tahun bersama Tadika Aman Ceria merupakan satu pengalaman yang amat berharga bagi saya. Saya melihat anak-anak saya belajar dalam persikitaran yang selamat dan kondusif untuk pembelajaran serta tumbesaran mereka. Guru-guru yang berpengalaman dan penuh dedikasi serta cara pembelajaran yang sistematik banyak membantu anak-anak saya menerap pelajaran serta merangsang perkembangan social mereka. Asas yang kukuh seperti ini, telah menyediakan anak-anak saya untuk menghadapi alam persekolan dengan penuh keyakinan dan keceriaan. I have always appreciated the nurturing and positive style of teaching by the dedicated and professional staffs/teachers. My elder son Bhvan had attended TAC in 2006/07 and it was a stepping stone for primary education. Now my second son Chvan Dev is attending TAC and has excelled very well while building a positive self-image and confidence. Both my sons enjoyed and gained academically and socially at Aman Ceria. I would definitely recommend TAC to any parents who want a caring and enriching experience for their child. Thank you Mrs. Law for all you have done to make TAC a fabulous foundation for young lives. The concrete foundation in education that my children received has been truly rewarding. The teaching skills that were taught have left a deep impact on my children and have assisted them throughout their school years. My three children have thoroughly enjoyed and learned a lot from the teachers. My eldest is now in university and the other children are in primary schools. We take this opportunity to thank Mrs. Law and all the teachers for their timeless effort, patience and guidance spent on my children. I could see great improvement in my son Ali Hassan in terms of his social skills and overall learning abilities. He is always eager to go to school in the mornings and has gained a lot from the regular school outings and holiday camps activities organized by the school. I will definitely recommend Aman Ceria for good education to my friends and relatives at Tadika Aman Ceria. Ungku Fadzil Bin Ungku Abu Bakar. My daughter Isabel attended Tadika Aman Ceria from nursery until she finished kindergarten. She enjoyed her time at the school very much. She learnt the violin and piano from the school. Isabel studied three years in this school. She changed from being a very timid child to one who is more outgoing and confident. I appreciate very much the effort that Mrs. Law and her teachers put in to treat each child individually according to his / her needs. Thank you! Observing my daughters, Anita and her sister I can say that Aman Ceria is indeed a good starting point in early chilhood education - both on learning the textbook subjects and also about life. My daughters are holding strongly on what they have learned in Aman Ceria, which are - honesty, respect and teamwork (beside the normal textbook subject). These principals are important to me. Finally, I can say that Aman Ceria is practicing "1 Malaysia" all the time, and therefore being a model Malaysian citizen will come naturally to their pupils.